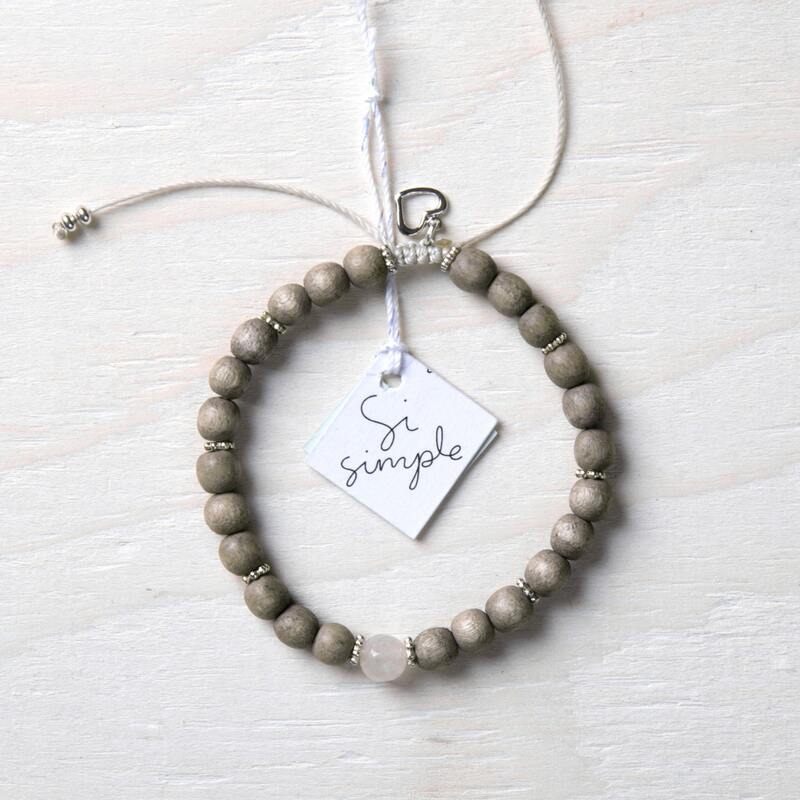 Light grey wood beads bracelet and semi-precious pink gemstone (6mm) on a nylon thread. 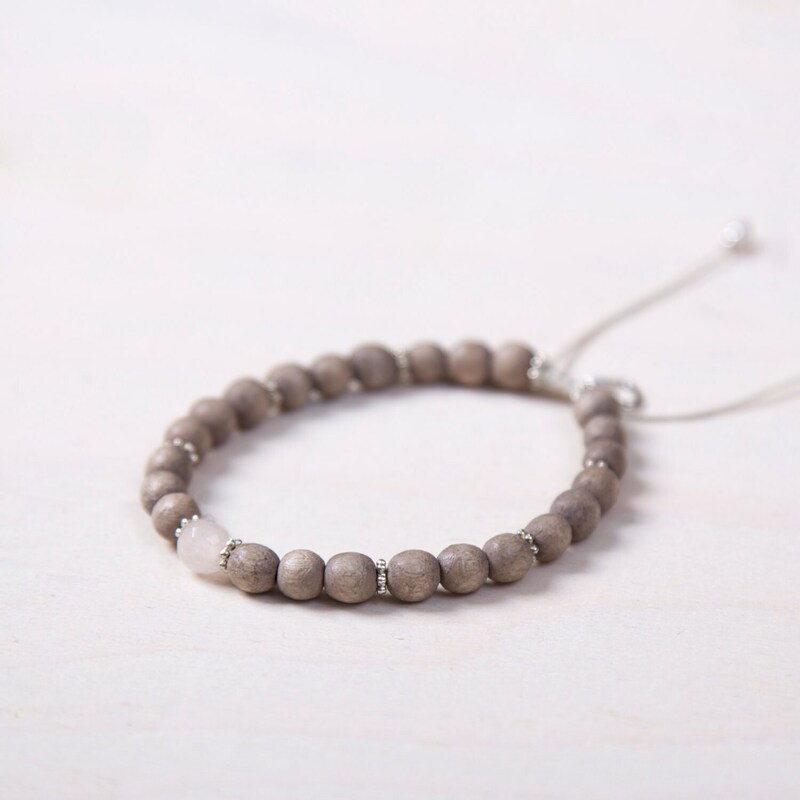 Adjustable to fit your wrist. Handmade with love in Montreal.